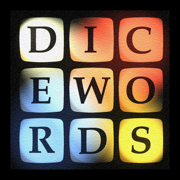 Dicewords and Dicewords-X updates are now available. This fixes a bug introduced in V1.4 where the dictionary setting set in preferences was ignored by the app. Sorry about that.